Panax Ginseng (also commonly referred to as Asian or Korean Ginseng) is considered to be an adaptogen, a therapeutic and restorative tonic generally considered to produce a balancing effect on the body, and is believed to have anti-stress and endurance-enhancing effects. Panax Ginseng plant has been used for thousands of years in Traditional Chinese Medicine. The plant part used is the root and the active constituents are ginsenosides. Ginseng is any one of eleven species of slow-growing perennial plants with fleshy roots, belonging to the genus Panax of the family Araliaceae. Ginseng is found only in the Northern Hemisphere, in North America and in eastern Asia (mostly Korea, northern China (Manchuria), and eastern Siberia), typically in cooler climates. Panax vietnamensis, discovered in Vietnam, is the southernmost ginseng known. This article focuses on the Series Panax ginsengs, which are the adaptogenic herbs, principally Panax ginseng and P. quinquefolius. Ginseng is characterized by the presence of ginsenosides. The English word ginseng derives from the Chinese term rénsh?n . Rén means “man” and sh?n means a kind of herb; this refers to the root’s characteristic forked shape, which resembles the legs of a man. The English pronunciation derives from a southern Chinese reading, similar to Cantonese yun sum and the Hokkien pronunciation “jîn-sim”. The botanical/genus name Panax means “all-heal” in Greek, sharing the same origin as “panacea”, and was applied to this genus because Linnaeus was aware of its wide use in Chinese medicine as a muscle relaxant. Besides Panax ginseng, there are many other plants which are also known as or mistaken for the ginseng root. The most commonly known examples are Xiyangshen, also known as American Ginseng (Panax quinquefolius), Japanese ginseng (Panax japonicus), crown prince ginseng (Pseudostellaria heterophylla), and Siberian ginseng (Eleutherococcus senticosus). Although all have the name ginseng, each plant has distinctively different functions. However, true ginseng plants belong to the Panax genus. Ginseng root is commonly used in herbal remedies. Ginseng is a slow growing plant. It takes at least five years for the roots to reach maturity. The process to prepare Ginseng seeds for planting is difficult. Many gardeners choose to purchase stratified seeds from cultivators for planting. This cultivated Ginseng seed is easier to plant than starting the process from an uncultivated seed. Ginseng should be planted in the fall prior to the ground freezing for the winter. The planting site should be in deep shade, such as underneath a tree. 1.Dig a half-inch deep hole for each Ginseng seed you are planting. The holes should be 6 inches apart from one another. 2.Place one seed in each hole. 3.Cover the holes back up with dirt. 4.Cover the entire area with 1 inch of mulch. Ginseng is low maintenance after it is planted. It can grow completely unattended once planted. The only difficult part is the stratification process, which is not needed when using cultivated Ginseng seeds. Known for its many medicinal properties, the ginseng plant has been cultivated and used for centuries–as far back as prehistoric times in China.” Ginseng’s supposed benefits–decreasing stress, ability to increase bodily endurance, and ability to protect cells against damage, among others–are still desirable today, and because of that, ginseng plants are grown all over the world. Ginseng can be difficult to cultivate, but more than anything else, a ginseng plant needs time to become fully mature and harvestable. 2. Make sure the soil is right for the plant. A soil pH of 5 to 6.5 is ideal. The precise composition of the soil is not as important, however, as the soil possessing two important properties: the ability to drain well and maintain moisture. Although these properties seem to be contradictory, they exist commonly beneath the detritus on the forest floor. If your plant is potted, it shouldn’t be allowed to dry out–water it as regularly as necessary to keep it moist, but never soggy, because the root is susceptible to several types of root rot. 3.The needs of a ginseng plant are few if it has a good location (right light and soil). Given time–five to 10 years, to be precise–the plant’s root should be large enough to harvest. If the plant is not in a woodland habitat, cover the top soil in late fall, adding a mulch to imitate the process in the forest. Keep weeds away from the plant to lessen chances for transference of fungal diseases. There are many threats to ginseng plants, including pests, diseases, small animals that dig them up, droughts or floods, and human ginseng hunters. It is recommended that ginseng be cultivated on private property, and not near places known to be frequented by ginseng hunters. Also, higher-altitude regions are more successful ginseng-growing areas, simply because they are not as warm as lower-altitude regions. Ginseng is a versatile medicinal plant, it help alleviate symptoms of insomnia and stress. The Chinese made ginseng famous, it has been used in Chinese medicines for years. Just recently it has become familiar in the United States. The ginseng plant is not easy to grow, the ginseng takes six years to grow. This is why it is an exceptional valuable plant. The plant can grow up to three feet tall, and is known for its odor and spicy taste. The ginseng originated in Korea and China. In ancient times it could be found growing in the wild. It is now grown for commercial industry in China. Both American ginseng (Panax quinquefolius) and Asian ginseng (Panax ginseng) roots are taken orally as adaptogens, aphrodisiacs, nourishing stimulants, and in the treatment of type II diabetes, as well as for sexual dysfunction in men. The root is most often available in dried form, either whole or sliced. Ginseng leaf, although not as highly prized, is sometimes also used; as with the root, it is most often available in dried form. This ingredient may also be found in some energy drinks, often the “tea” varieties; in these products, ginseng is usually present in subclinical doses and does not have measurable medicinal effects. It can be found in cosmetic preparations as well, but has not been shown to have clinically effective results. Ginsenosides are the active compounds that distinguish the Panax species, and the beneficial ginsenosides are contained in the fleshy portions of the plant. There are many manufacturers of ginseng products who, knowingly or unknowingly, actually use counterfeit products or ginseng leaves instead of roots. Herbal companies who follow Good Manufacturing Practices regularly test for the quality, potency, and species authentication of herbs using cross-sectional microscopic examination, thin layer chromatography, and high pressure liquid chromatography (HPLC). One study found HPLC is especially useful in the differentiation and authentication of Panax ginseng from Panax quinquefolius due to the unambiguous distinction of slightly varying isotypes of ginsenoside compounds. Ginseng is noted for being an adaptogen, one which can, to a certain extent, be supported with reference to its anticarcinogenic and antioxidant properties. Some studies have found no adaptogen responses in animal studies (Survival test on mice swimming). Many studies have been done with varying results using only ginseng extracts. However, when ginseng is used in combination with other traditional Chinese herbs, the synergistic effects had many more definitive and positive results. For example, Si Jun Zi Tang, a traditional Chinese formula, the main ingredient of which is ginseng, has been shown in multiple studies to have radioprotective effects, preventing a decrease in the hematocrit during radiotherapy. In research, it has been difficult to either verify or quantify the exact medicinal benefits of ginseng using science, as there are contradictory results from different studies, possibly due to the wide variety and quality of ginseng used in the tests. High-quality studies of the effects of ginseng in the United States are rare. However, many high-quality, double blind, randomized controlled trials have been done in Asian countries, such as China, South Korea and Japan. American ginseng (Panax quinquefolius), similar to Panax ginseng in that they both contain the active component ginsenoside, is distinguished in traditional Chinese medicine theory by having a cold property while the property of ginseng is warm. Japanese ginseng, though the same species as ginseng, is thought to have cooling properties similar to American ginseng due to the difference in cultivation environment. American ginseng has been shown in various studies to have a beneficial effect for diabetes in the regulation of blood sugar levels. A comparative, randomized and double-blind study at the National Autonomous University of Mexico indicated it may be “a promising dietary supplement” when assessed for an increase in quality of life. A randomized, double-blind study showed that an extract of American ginseng reduced influenza cases in the elderly when compared to placebo. A recent study at the University of Hong Kong has identified ginseng to have anti-inflammatory effects. The study found of the nine ginsenosides they identified, seven could selectively inhibit expression of the inflammatory gene CXCL-10. P. ginseng appear to inhibit some characteristics associated with cancer in animal models; nevertheless, this effect is unclear in humans. A randomized, double-blind pilot study noted Ginseng appeared to reduce fatigue in cancer patients. There are references in literature, including authoritative compendia, that show interactions with ginseng. Herbalist Jonathan Treasure of the British National Institute of Medical Herbalists traces the growth of misinformation on an alleged adverse herb-drug interaction between the monoamine oxidase inhibitor phenelzine and Asian ginseng (P. ginseng C.A. Meyer). This originally was mentioned in a 1985 editorial by Shader and Greenblatt in the Journal of Clinical Psychopharmacology. Shader and Greenblatt devoted a couple of lines to the case of a 64-year-old woman who took an undisclosed dose for an undisclosed time of a dietary supplement product called “Natrol High” while concurrently taking phenelzine 60 mg qd. She experienced symptoms of “insomnia, headache, and tremulousness”. Treasure contacted Natrol by e-mail and discovered within ten minutes that there was no P. ginseng in the formula, but instead Eleutherococcus senticosus which was then called by the popular name “Siberian ginseng”, and it was given in a subclinical dosage mixed with a variety of other herbs. The purported interaction effects are well-known side effects of phenelzine alone, which had been given in a high dosage and are not at all suggestive of Eleutherococcus. However, this misinformed article with a misidentified herb has been picked up in literature searches and megastudies, and is now documented by conventional medical authorities, such as Stockley’s, and is repeated in several botanical monographs, e.g. World Health Organization . A 2002 study by the Southern Illinois University School of Medicine (published in the annals of the New York Academy of Sciences) found that in laboratory animals, both Asian and American forms of ginseng enhance libido and copulatory performance. These effects of ginseng may not be due to changes in hormone secretion, but to direct effects of ginseng or its ginsenoside components on the central nervous system and gonadal tissues. In males, ginsenosides can facilitate penile erection. This is consistent with traditional Chinese medicine and Korean medicine medicinal uses of ginseng. Ginseng is known to contain phytoestrogens. In some studies, ginseng has been demonstrated to have a stimulating effect on the pituitary gland to increase the secretion of gonadotropins. Another study found that in young mice, it speeds up the development of reproductive organs, while in adult male mice, it stimulates the production of sperm, and lengthens the estrus period in female mice. According to a Sports Nutrition FAQ published by UMass Amherst, one of P. ginseng’s most common side effects is the inability to sleep. However, other sources state ginseng causes no sleep difficulties. Other side effects can include nausea, diarrhea, headaches, nose bleeds, high blood pressure, low blood pressure, and breast pain. Ginseng may also lead to induction of mania in depressed patients who mix it with antidepressants. Ginseng has been shown to have adverse drug reactions with phenelzine and warfarin, but has been shown to decrease blood alcohol levels. The common adaptogen ginsengs (P. ginseng and P. quinquefolia) are generally considered to be relatively safe even in large amounts. One of the most common and characteristic symptoms of acute overdose of Panax ginseng is bleeding. Symptoms of mild overdose with Panax ginseng may include dry mouth and lips, excitation, fidgeting, irritability, tremor, palpitations, blurred vision, headache, insomnia, increased body temperature, increased blood pressure, edema, decreased appetite, increased sexual desire, dizziness, itching, eczema, early morning diarrhea, bleeding, and fatigue. Symptoms of gross overdose with Panax ginseng may include nausea, vomiting, irritability, restlessness, urinary and bowel incontinence, fever, increased blood pressure, increased respiration, decreased sensitivity and reaction to light, decreased heart rate, cyanotic (blue) facial complexion, red facial complexion, seizures, convulsions, and delirium. Patients experiencing any of the above symptoms are advised to discontinue the herbs and seek any necessary symptomatic treatment. According to traditional Chinese medicine, American ginseng promotes yin energy, cleans excess yang and calms the body. The reason it has been claimed that American ginseng promotes yin (shadow, cold, negative, female) while Asian ginseng promotes yang (sunshine, hot, positive, male) is because, according to traditional Chinese medicine, things living in cold places or northern side of mountains or southern side of rivers are strong in yang and vice versa, so that the two are balanced. Chinese/Korean ginseng grows in Manchuria and Korea, the coldest area known to many Koreans in ancient times. Thus, ginseng from there is supposed to be very yang. Originally, American ginseng was imported into China via subtropical Guangzhou, the seaport next to Hong Kong, so Chinese doctors believed American ginseng must be good for yin, because it came from a hot area. They did not know, however, that American ginseng can only grow in temperate regions. Nonetheless, the root is legitimately classified as more yin because it generates fluids. The two main components of ginseng are claimed to be in different proportions in the Asian and American varieties, and are speculated to be the cause of the excitatory versus tonic natures. The ginseng is traditionally hewn and a few slices are simmered in hot water to make a decoction. Most North American ginseng is produced in the Canadian provinces of Ontario and British Columbia and the American state of Wisconsin, according to Agri-food Canada. P. quinquefolius is now also grown in northern China. The aromatic root resembles a small parsnip that forks as it matures. The plant grows 6 to 18 inches tall, usually bearing three leaves, each with three to five leaflets two to five inches long. The form called fresh ginseng is the raw product. The form called white ginseng (WG) is fresh ginseng which has been dried. It is grown for four to six years, and then peeled and dried to reduce the water content to 12% or less. White ginseng is air dried in the sun and may contain less of the therapeutic constituents. It is thought by some that enzymes contained in the root break down these constituents in the process of drying. Drying in the sun bleaches the root to a yellowish-white color. The form called red ginseng (RG) is harvested after six years, is not peeled and is steam-cured at standard boiling temperatures of 100 °C (212 °F), thereby giving it a glossy reddish-brown color. Steaming the root is thought to change its biochemical composition and also to prevent the breakdown of the active ingredients. The roots are then dried. RG is more common as herbal medicine than WG, and there is increasing research on the pharmacological activities of RG specific ginsenoside. The form called sun ginseng (SG) is created from a heat processing method which increases ginsenoside components such as ginsenoside-[Rg.sub.3], -[Rk.sub.1] and -[Rg.sub.5] by steaming white ginseng at a higher temperature than red ginseng. The herb is steamed for three hours at 120 °C (248 °F). Research has shown that SG has increased nitric oxide, superoxide, hydroxyl radical and peroxynitrite scavenging activities compared with conventionally processed RG or WG. The increased steaming temperature produces an optimal amount of biological activity due to its ability to amplify specific ginsenosides. Japanese researchers set out to investigate the antioxidant effect of SG on oxidative stress. Red ginseng (Hangul; Hanja; RR: hong-sam, simplified Chinese; traditional Chinese; pinyin: hóng s?n), is Panax ginseng that has been heated, either through steaming or sun-drying. It is frequently marinated in an herbal brew which results in the root becoming extremely brittle. This version of ginseng is traditionally associated with stimulating sexual function and increasing energy. Red ginseng is always produced from cultivated roots, generally from Korea. In 2002, a preliminary double-blind, crossover study of Korean red ginseng’s effects on impotence reported that it can be an effective alternative for treating male erectile dysfunction, during which 60% of study participants noted an improvement in ability to produce an erection. A study of ginseng’s effects on rats found that while both white ginseng and red ginseng appear to reduce the incidence of cancer, the effects appear to be greater with red ginseng. A study by Sung H, Jung YS, Cho YK. showed potentially beneficial effects of a combination of Korean red ginseng and highly active antiretroviral therapy in HIV-1-infected patients. Falcarinol, a seventeen-carbon diyne fatty alcohol was isolated from carrot and red ginseng, and was thought to have potent anticancer properties on primary mammary epithelial (breast cancer) cells. Other acetylenic fatty alcohols in ginseng (panaxacol, panaxydol and panaxytriol) have antibiotic properties. Wild ginseng is that which grows naturally and is harvested from wherever it is found to be growing. Wild ginseng is relatively rare, and even increasingly endangered, due in large part to high demand for the product in recent years, which has led to the wild plants being sought out and harvested faster than new ones can grow (it requires years for a root to reach maturity). Wild ginseng can be either Asian or American, and can be processed to be red ginseng. There are woods-grown American ginseng programs in Maine, Tennessee, Virginia, North Carolina, West Virginia and Kentucky, and United Plant Savers has been encouraging the woods planting of ginseng both to restore natural habitats and to remove pressure from any remaining wild ginseng, and they offer both advice and sources of rootlets. Woods-grown plants have a value comparable to wild-grown ginseng of similar age. These mostly “adaptogenic” plants are sometimes referred to as ginsengs, but they are either from a different family or genus. Only jiaogulan actually contains compounds closely related to ginsenosides, although ginsenosides alone do not determine the effectiveness of ginseng. Since each of these plants has different uses, one should research their properties before using. Ginseng has been used in herbal remedies for centuries . Asian ginseng is used as a general tonic by modern Western herbalists as well as by traditional Chinese practitioners. It is thought to gently stimulate and strengthen the central nervous system in cases of fatigue, physical exertion, weakness from disease and injury, and prolonged emotional stress. Ginseng’s most widespread use is among the elderly. It is reported to help control diabetes, improve blood pressure and heart action, reduce cholesterol levels, and reduce mental confusion, headaches, and weakness among the elderly. Asian ginseng’s affinity for the nervous system and its ability to promote relaxation makes it useful for stress-related conditions such as insomnia and anxiety. Serious athletes may benefit from the use of Asian ginseng with improved stamina and endurance. The Asian species also is reported to be a sexual tonic and aphrodisiac, useful in maintaining the reproductive organs and sexual desire into old age and to help prevent or reverse erectile dysfunction associated with prostate diseases or stress. Animal and human studies have shown Asian ginseng possibly reduces the occurrence of cancer: Ginseng preparations increase production of immune cells, which may boost immune function. Ginseng contains many complex saponins, referred to as ginsenosides and panaxosides. Ginsenosides have been extensively studied and found to have numerous complex actions, including the following: They stimulate bone marrow production, stimulate the immune system, inhibit tumor growth, balance blood sugar, stabilize blood pressure, and detoxify the liver, among many other tonic effects. Ginseng also contains numerous other constituents, yet no one constituent has been identified as the most active. In fact, many of the individual constituents have been shown to have opposite actions. Like all plant medicine, the activity is due to the sum total of all the substances. Due to the widespread and age-old use of ginseng, ways to prepare, ingest, and dose it abound, thus no single recommendation can be made. Ginseng is dried for teas, powdered and encapsulated, candied, tinctured, and made into concentrates and syrups. Many herbalists recommend using ginseng in an on-and-off pattern of several weeks on and then a week or two off. Not only does ginseng seem more effective this way, but this regimen reduces the likelihood of overstimulation and side effects. Ginseng is one of the better-researched plants, and no serious toxicity has ever been reported. Many of the symptoms of toxicity associated with taking large doses of ginseng products (such as sleeplessness and irritability) can be traced to adulteration of the ginseng with the toxic herb aconite. Due to its purported hormonal activity, ginseng should be avoided during pregnancy. Some cases of hypertension are aggravated by ginseng, while others are improved; consult an herbalist, naturopathic physician, or other practitioner trained in the use of herbal medicine for the use of ginseng in hypertension. The Chinese consider the Asian species Panax ginseng a yang tonic, so it is not used in those who have what traditional Chinese medicine refers to as yang excess, or excess heat. This means that people who are warm or red in the face (such as menopausal women) or those who have high blood pressure or rapid heartbeat should not use Asian ginseng. American ginseng is much better suited to this type of person. But conversely, American ginseng should not be used in those who are cold or pale or in those with a slow heartbeat. Possible side effects of Asian ginseng use include, curiously, some of the symptoms it is prescribed for: hypertension, insomnia, nervousness, and irritability. Acne and diarrhea are also occasionally reported. Seek advice from an herbalist or naturopathic physician who can determine if ginseng is appropriate for you and, if so, can recommend an appropriate dose. Due to potential hormonal activity, Asian ginseng can promote menstrual changes and breast tenderness on occasion. The side effects caused by ginseng resolve quickly once the herb is discontinued. Jennifer Brett, N.D. is director of the Acupuncture Institute for the University of Bridgeport, where she also serves on the faculty for the College of Naturopathic Medicine. Before undertaking any course of treatment, the reader must seek the advice of their physician or other health care provider.Before engaging in any complementary medical technique, including the use of natural or herbal remedies, you should be aware that many of these techniques have not been evaluated in scientific studies. Use of these remedies in connection with over the counter or prescription medications can cause severe adverse reactions. Often, only limited information is available about their safety and effectiveness. If you plan to visit a practitioner, it is recommended that you choose one who is licensed by a recognized national organization and who abides by the organization’s standards. It is always best to speak with your primary health care provider before starting any new therapeutic technique. were we can buy seedling ? 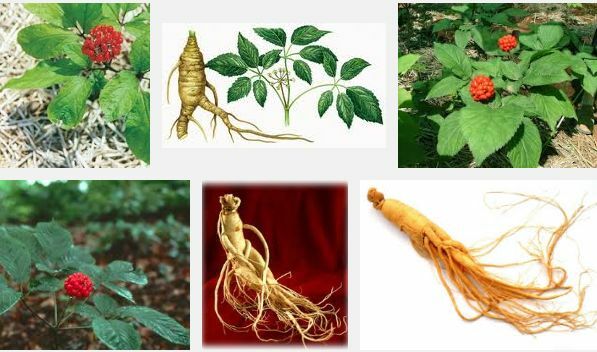 can panax ginseng be grown in the philippines. if so, do you offer a training for its cultivation?